In the past, we've provided the names of specific customers with whom we deal. In order to protect the privacy and limit any inconvenience which this could cause existing customers, we've opted to discontinue that practice. If you require a few references who can vouch for our product and our service, we can provide that over the phone. Below you'll find some basic listings which include the types of customers who rely on us regularly. You'll probably find a company of similar size, scope and focus to your own. We look forward to hearing from you and personally handling your order. Site Improvement and Development Contractors - including companies with 1 machine and with hundreds of units operating on multiple sites. Heavy Civil Construction Contractors in almost every field and every state. Highway, Commercial and Residential Paving Contractors. Aggregate, Asphalt, and Concrete Material Providers. OEM Equipment Sales and Service Companies representing a variety of well know Equipment Brands. Local, Regional and National Equipment Rental Companies including small single locations as well as very large multi-site companies. 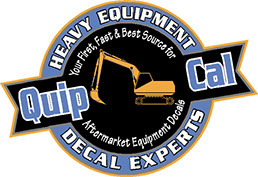 Independent Used Equipment Dealers including many IEDA members. Farms, Ranches, Commercial Harvesters etc. Private Collectors and Restoration Buffs.